There are TONS of ways to get educated about issues, make your voice heard, and connect with like-minded activists over the next few weeks. This Muster is chock-full of opportunities! Read carefully and then get out there; the world needs you! Indivisible-MA wants to hear from you! 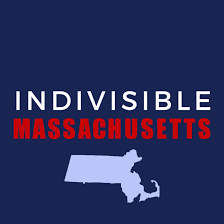 On their February Indivisible-MA Statewide call, Rep. Lindsay Sabadosa and former Rep. Jay Kaufman shared how best to get legislation passed in our State House. This is all about how we work most effectively with the political system in our State so we can successful get legislation passed we care about. On their March Statewide call with Representative Joe Kennedy, Ind-MA asked for volunteers interested in working on State Legislative Strategy. Towards this end, Ind-MA needs to understand what legislative initiatives are most important to you. What are you willing to work on and at what level? Members of MI's Steering Committee and our MI Champions are taking this very short State Legislative Strategy survey, and we're encouraging YOU to take it, too! Ind-MA wants to pull all the people together that want to work towards the same legislative goals. This survey will really help in ORGANIZING and NETWORKING us with our allies across the state. Take the survey before the end of the day tomorrow! 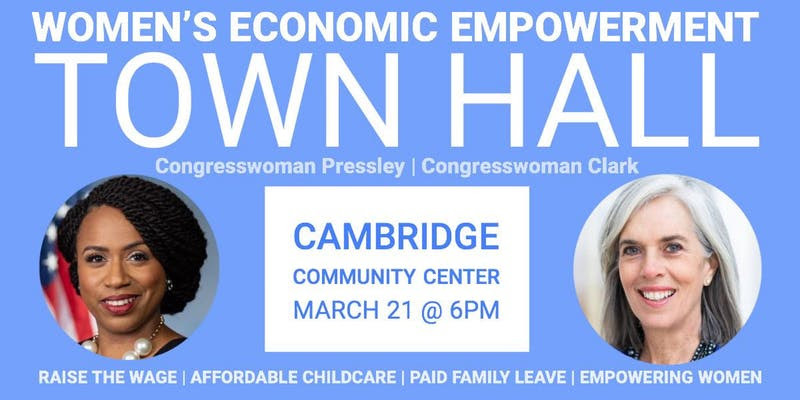 Join Ayanna Pressley and Katherine Clark for a joint Town Hall this Thursday in Cambridge. In honor of Women's History Month, the two Congresswomen are hosting a discussion on the policies that lift up women and families in Massachusetts and beyond, including raising the wage, paid family leave, and increasing access to quality affordable child care. Doors open at 6:00 pm, and child care will be provided on site as needed. Please select a "Child Care Needed" ticket if you require child care on site. Get tickets here. The ROE Act has gained unprecedented support in the form of co-sponsorship in the House and Senate. With 92 co-sponsors in the House and 22 in the Senate, this bill has very strong support in both chambers. Just last week, the House version of the bill was assigned to the House Judiciary Committee and the Senate Version of the bill was assigned to the Senate Public Health Committee, which means a hearing is coming up in the near or distant future. On March 20th, the Massachusetts Family Institute is holding a lobby day at the state house, where they will be vocally opposing the ROE Act. 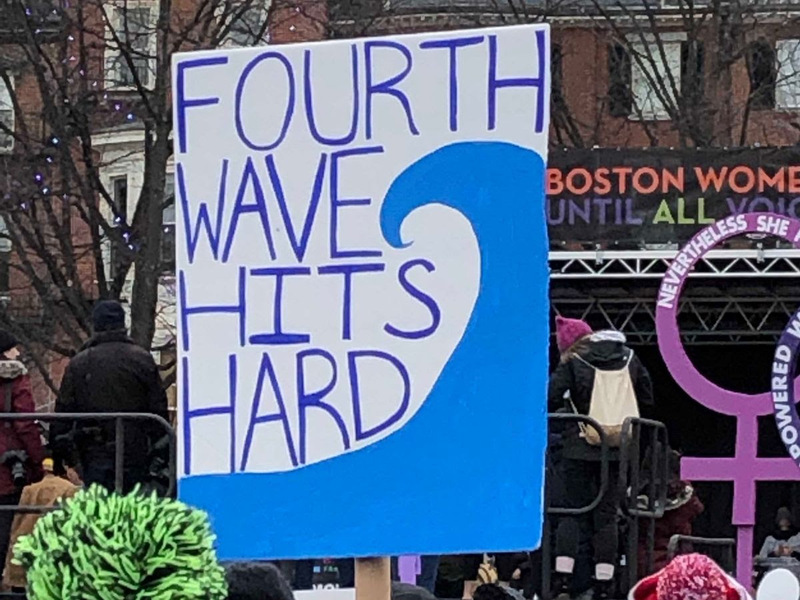 We want to make some noise at the same time and make sure our legislators know that 8 in 10 Massachusetts voters support the right to safe and legal abortion care. We know that the ultimate goal of anti-abortion groups is to ban all safe, legal abortion in this country. With the Trump-Pence administration waging an assault on abortion access and politicians imposing their personal ideologies on others, your help is needed to make it clear to legislators who are supporting the ROE Act that we stand with them in the fight for equitable access to health care. Please take action to affirm your support for the ROE Act. Call, email, or text your State Representative and State Senator using either the "thank you for co-sponsoring" or the "why not yet" script found here. Then be sure to tweet and post about it, tagging your legislators. And then, email Karyn Rose, our MI Champion for Women's Reproductive Rights, so she can keep track of our support. Sign up here to call pro-choice voters from 6:00 to 8:00 pm on the evening before the anti-choice lobby day to patch them through to their legislators to voice their support for ROE. Join the Massachusetts Commission on the Status of Women at a public hearing on Women's Issues at the Malden Senior Center. Open to the public. Oral and written testimony welcome from all. RSVP here. A coalition of groups, including MIRA, are holding this event from 4:00 to 5:00 pm at Boston City Hall Plaza in support of The Dream & Promise Act, introduced in Congress on March 12. Come together with members of Congress and directly affected Dreamers and TPS holders, to send a strong message to Washington: Pass this bill ASAP, and don't stop fighting until Dreamers and TPS and DED holders can live free from fear and uncertainty. See this link for more details. The Jericho Walk is a silent interfaith prayer and act of solidarity to bring down the walls of our unjust immigration system and is open to people of all or no faiths. Please bring signs calling for just treatment of those who are caught in our broken immigration system. Please refrain from signs explicitly endorsing or condemning any political candidate or official. See this link for more details. Volunteer at this voter registration drive, organized by MIRA, which happens directly after a naturalization ceremony. Volunteers fill out voter registration forms for newly sworn-in citizens. All materials—clipboards, forms, and pins—are provided. No prior experience necessary - MIRA will provide training; RSVP here. Francisco Cantú, the author of The Line Becomes a River, Dispatches from the Border, will be speaking at Boston College as part of the Lowell Humanities Series. The event begins at 7:00 pm and is free and open to the public. See this link for more details. 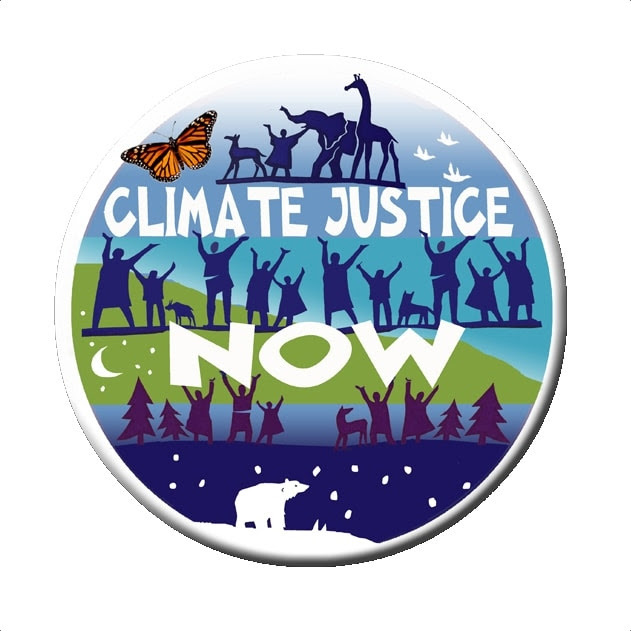 The Arlington Democratic Town Committee and the Social Justice Committee of Arlington's First Parish Church are sponsoring events about climate change. This month, Frances Moore Lappé of the Small Planet Institute (author of Diet for a Small Planet and an acclaimed activist for democracy) will be speaking about Finding Hope Through Democratic Action. This free event at 7:00 pm at Arlington's First Parish is the first of three public forums and an opportunity to learn more about what we can do to combat climate change. Lappe’s books will be available for sale and signing at the close of the program. See this link for more details. The MA Climate Action Network is hosting a 7:00 pm webinar with three state legislative sponsors of climate legislation: Rep. Joan Meschino will discuss her road map 2050 bill to avoid climate catastrophe by providing a new target of zero emissions; Rep. Marjorie Decker has sponsored the 100% clean energy for all bill; and Rep. Jennifer Benson is the lead house sponsor of the bill to put a price on carbon from the heating and transportation sectors. See this link for more details and to RSVP. Join us to Stitch & Resist and support voting rights in Georgia. We are raising funds and awareness for Stacey Abram's organization Fair Fight which is fighting voter suppression. Bring a current knitting or other handiwork project. RSVP here to receive the Lexington address for this 7:00 pm event. Join us at 7:15 pm to discuss One Person, No Vote by Carol Anderson, a timely study of voter suppression since the 2013 Supreme Court decision that gutted the Voting Rights Act. The book focuses on key voter suppression techniques- voter ID, voter purges, and gerrymandering, and also includes a powerful chapter examining how ordinary citizens and groups were able to overcome these barriers to elect Doug Jones to the Senate in 2017. New members are always welcome - the MI Book Club page provides a summary of the book for those who haven't had a chance to read it yet. Use this link to RSVP or to recommend other books to read. 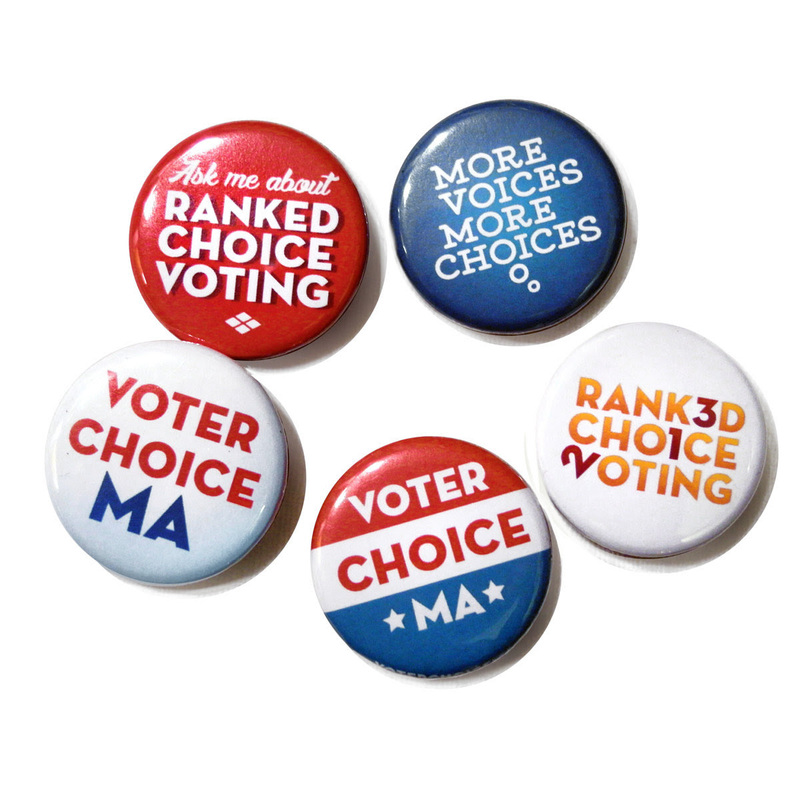 Join Voter Choice MA at 7:00 pm at the Framingham Public Library to learn about RCV and how you can get involved! Hear about their exciting initiatives and plan for the month ahead. RSVP here. 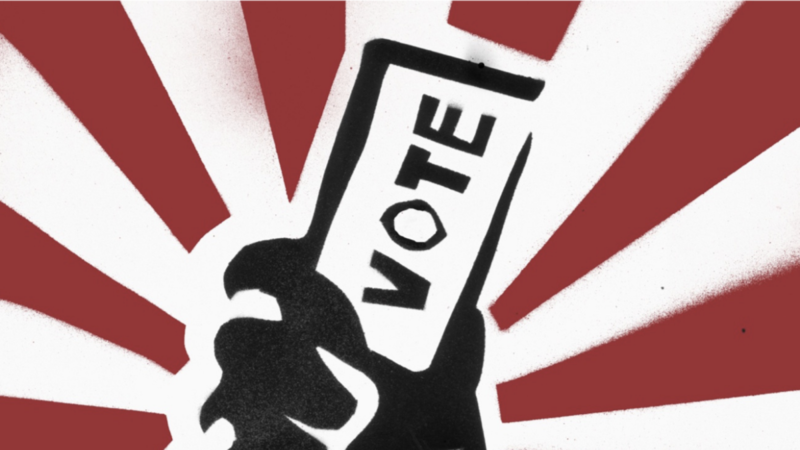 Learn about Ranked Choice Voting at 7:30 pm at the Reading Public Library. A representative from Voter Choice MA will talk about the history of RCV, why it is important, and how it will transform elections in Massachusetts. RSVP here. In 2018, Force Multiplier helped elect 13 Flip-the House candidates. Now they're ready to turn the 2018 Blue Wave into the 2020 Blue Tsunami! Head to Brookline for this 3:00 pm event to hear about their plans for 2019 and 2020 to hold the House, flip the Senate and invest in “States that Matter” and in the Presidential race. RSVP here. Indivisible groups across the country are gearing up to support Kentucky Indivisibles as they attempt to unseat the biggest political machine of the 21st century: Senator Mitch McConnell. Kentucky Indivisible groups are excited to work with other Indivisibles across the country to harness energy and build support for the grassroots ground effort to unseat McConnell. Join this 8:00 pm (Eastern Time) call to learn how to help Kentucky--and the country. RSVP using this link. Here's another opportunity to work on Sister District's postcarding campaign to low-propensity, likely Democrats in Louisiana, Mississippi, and Virginia, three of their 2019 "last-chance" states. Help lay the groundwork for another blue wave before the next census takes place and reverse the insidious gerrymandering that's been crippling American democracy. RSVP here for the 7:00 pm event. Hear Sister District Founder Rita Bosworth talk about the organization's plans for 2019 and 2020, and why financial support for Sister District candidates matters more than ever in this Presidential cycle. She'll be in Davis Square, Somerville at 5:00 pm and in Newton at 7:00 pm. RSVP to Somerville here or RSVP to Newton here. You can donate to Sister District here. Join MI's Jean Milburn for an afternoon of postcarding in Wayland. Get details and RSVP by emailing Jean. 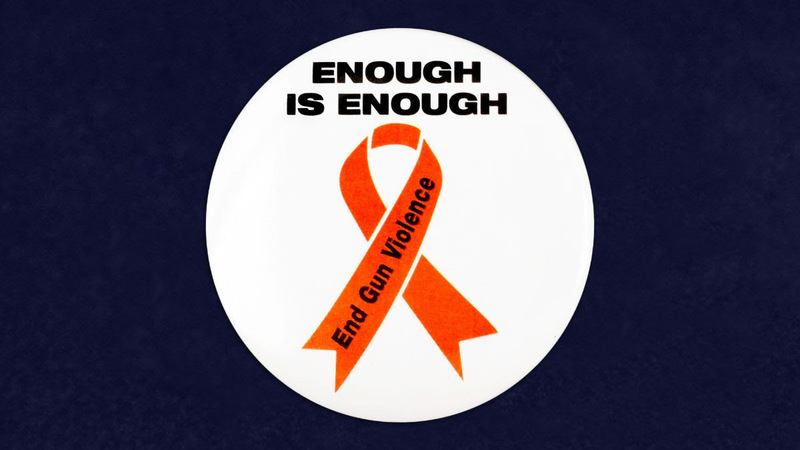 The Massachusetts Coalition to Prevent Gun Violence presents their Fourth Annual Peace MVP Awards ceremony featuring special guest David Hogg honoring the amazing work of MA teen leaders for their courageous advocacy and action to reduce gun violence. The event takes place at 7:00 pm at Temple Beth Elohim in Wellesley. Suggested donation of $25 per adult and FREE to all students. Seating is limited; registration is recommended. It is time to #ShowUsYourTaxes. 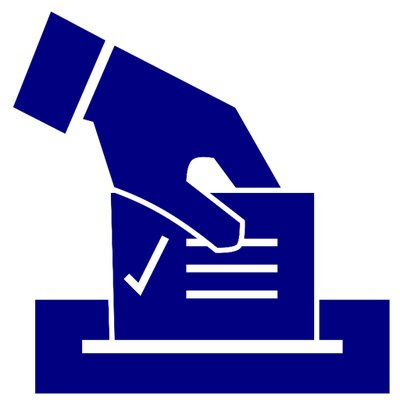 Numerous states are working on passing legislation that would require candidates for POTUS and VPOTUS to release their taxes in order to appear on the ballot. Massachusetts is one such state, and we urge everybody to contact your state senators and representatives in support S.383. Simply sign this “enhanced” 1040 form and send it in. Bonus points if your legislator sits on the Joint Committee for Election Laws! Read more about this trend toward tax transparency here. 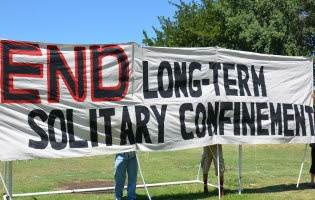 Freda Flammer, our MI Champion for Criminal Justice reform, has written a powerful op-ed about Massachusetts' practice of solitary confinement - read it here. And read the Boston Globe article from February 27 that provides more detail on this issue here. 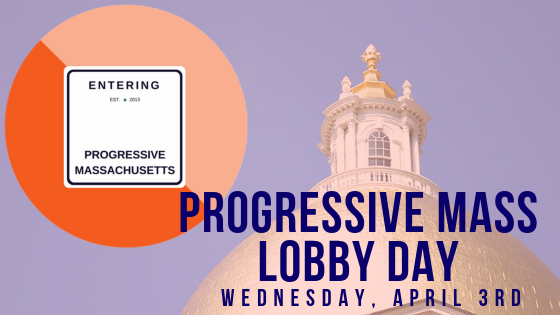 Join other MI Members at Progressive Mass's Lobby Day on Wednesday, April 3. You can read their legislative agenda here - you'll see some significant overlap with the issues we're championing! This event is a great way to get an introduction to lobbying on Beacon Hill, as you can visit legislative offices with a group of allies. Email Lisa at communications@minutemanindivisible.org if you'd like to meet up with other MI folks for the day. The Muster is coming to your inbox on a biweekly schedule until later this spring.